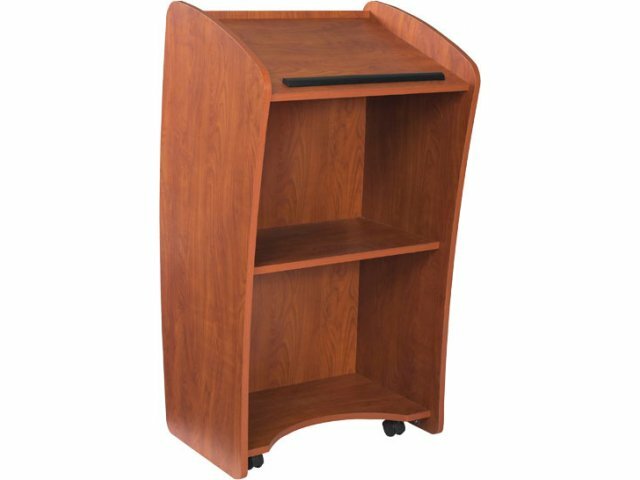 The Vision Lectern’s sleek curved appearance offers an attractive alternative to the classic podium. This lectern’s visual appeal is complemented by its functional design. It includes two shelves for speaker notes, accessories and any other necessary items. When it’s time to change venues, the Vision rolls easily into place on four concealed casters, two of which lock. 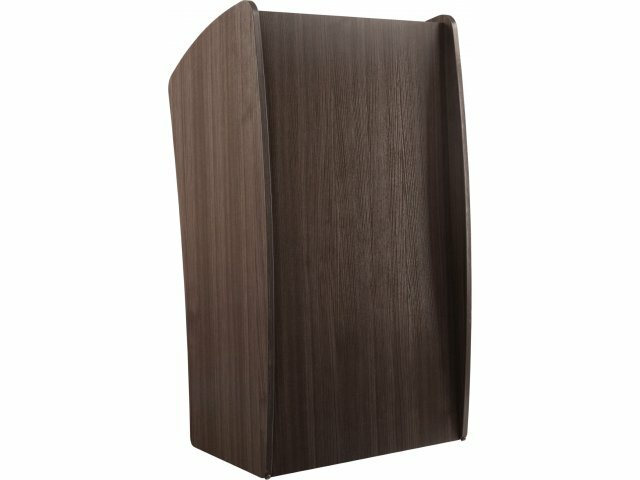 This lectern is constructed from ¾" stain– and scratch–resistant laminate, maintaining a professional appearance throughout repeated use. 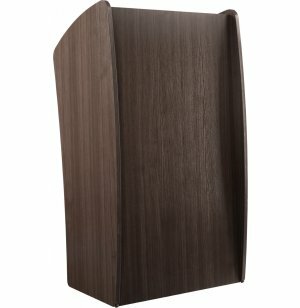 Demonstrate your company or institution’s practical sense of style by choosing the Vision Lectern. Durable: ¾" laminate is stain– and scratch–resistant.